Gay Paris, who can want for more. Paris is the capital and most populous city of France. Situated on the Seine River, in the north of the country, it is in the centre of the Île-de-France region, also known as the région parisienne, “Paris Region”. The City of Paris has an area of 105 km² (41 mi²) and a population of 2,241,346 within its administrative borders essentially unchanged since 1860. Since the 19th century, the built-up area of Paris has grown far beyond its administrative borders; together with its suburbs, the whole agglomeration has a population of 10,550,350. Paris’ metropolitan area spans most of the Paris region and has a population of 12,341,418 or one-fifth of the population of France. The administrative region covers 12,012 km² (4,638 mi²), with approximately 12 million inhabitants as of 2014, and has its own regional council and president. The Paris Region had a GDP of €624 billion (US $687 billion) in 2012, accounting for 30.0 percent of the GDP of France, and ranking it as one of the five wealthiest regions in Europe; it is the banking and financial centre of France, and contains the headquarters of 29 of the 31 French companies ranked in the 2015 Fortune Global 500. 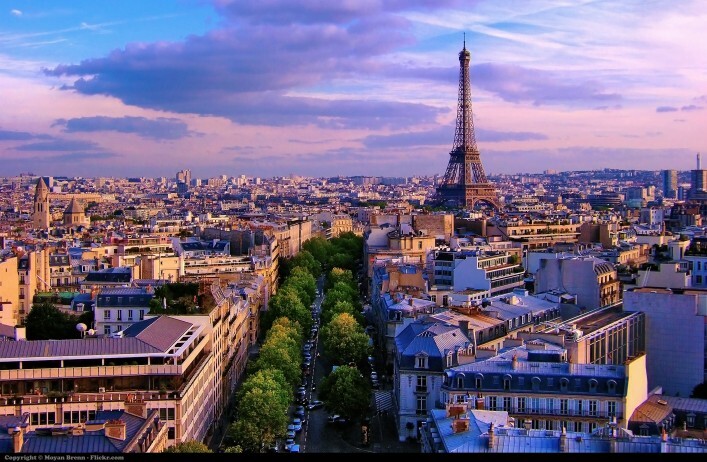 Paris is the home of the most visited art museum in the world, the Louvre, as well as the Musée d’Orsay, noted for its collection of French Impressionist art, and the Musée National d’Art Moderne, a museum of modern and contemporary art. The notable architectural landmarks of Paris include Notre Dame Cathedral (12th century); the Sainte-Chapelle (13th century); the Eiffel Tower (1889); and the Basilica of Sacré-Cœur on Montmartre (1914). In 2014 Paris received 22.4 million visitors, making it one of the world’s top tourist destinations. Paris is also known for its fashion, particularly the twice-yearly Paris Fashion Week, and for its haute cuisine, and three-star restaurants. Most of France’s major universities and grandes écoles are located in Paris, as are France’s major newspapers, including Le Monde, Le Figaro, and Libération. Arranging a private jet charter to and from Paris offers four key airports,plus a dedicated general aviation airport for private jet charter. Paris Charles-de-Gaulle (CDG) the main airport for international and schedule airlines, which is 45 minutes to the North-East of the City. Paris Orly (ORY) also provides international connections and is to the South of the city and 35 minutes away. There is a dedicated General Aviation airport for private jet charter and helicopters; Le Bourget (LBG) which sits to the North-East and is 35 minutes away. Pontoise (POX) airport is 1 hour away to the North-West, and Beauvais (BVA) is 1 hour 30 minutes North of the City. Arranging a private jet charter or helicopter transfer with Freedom Air to arrive in style to Paris is simple. The Freedom Air team can be reached at charters@flyfreedomair.com and by telephone on +44 (0) 1275 548001 to book your next trip.